New Grant Awarded to Parliamentary Monitoring Group – South Africa! Indigo has awarded a grant of SA Rand 194,700 (around £12,300) to Parliamentary Monitoring Group South Africa for a new Mzalendo/Odekro-style website for all levels of South African Democracy – from national down to local councils. This will enable citizens to access information on parliamentary proceedings and elected representatives and to contact politicians through the site in an extremely interactive way. Parliamentary Monitoring Group South Africa has been monitoring the South African parliament since 1998. Their website receives approximately 51,500 unique visitors every month whilst parliament is in session and is one of the only sources of quality information about the proceedings and reports of the various parliamentary committees. 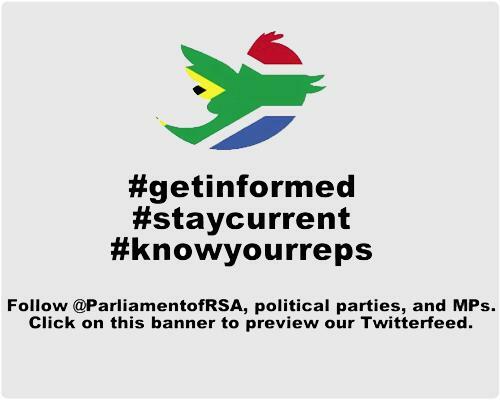 This new grant is going to assist with the launch of a new Parliamentary monitoring website aimed at South African citizens and will include a nifty new MP locator tool. In this project Parliamentary Monitoring Group will be joined by mySociety who have received a grant of £40,000 from Indigo to carry out this kind of work across sub-Saharan Africa. These collaborations combining technical know-how with on-the-ground knowledge and contacts are proving very successful. South Africa aspires to be a beacon of democracy but it does face many challenges. The popularly dubbed “Secrecy Bill” recently passed by parliament raises legitimate concerns about the future of whistle-blowing on state corruption. Projects like this one with the Parliamentary Monitoring Group could have a real impact on the legislative process. It’s also quickly worth mentioning the MP locator-tool. The South African parliament is elected through a proportional representation voting system that does not result in a link between constituency and representative. Instead Parliament appoints an MP for each geographical area. The MP locator tool will enable citizens to easily identity their MP in order that they might lobby them more effectively for local, or national, change. It is when these sites become part of everyday democratic life in a country that their value is really clear. In the UK, 1.5 million people visit TheyWorkForYou.com every year. The site is just the place you go to when you want information about parliament. We really hope that, in a few years time, this site is well known among South Africa’s 50 million people and is as much a part of the democratic landscape as elections, Nelson Mandela, and parliament itself.